DO – Give a reference point as to where you are at that people know. “Next to the Library in City name”. Unless you are on a state line, keep the state out. DON’T give your full street address in your Radio Commercials – This not only eats up 5-10 seconds of the precious :30 or :60 seconds you have to convey a powerful message in your radio commercial, it is also useless to about 99% of those listening. No one is going to retain that you are “located at 1439 South Elmroy Street just sought of the I-135 Exit in Bay City, Florida, call 134-231-4519”. 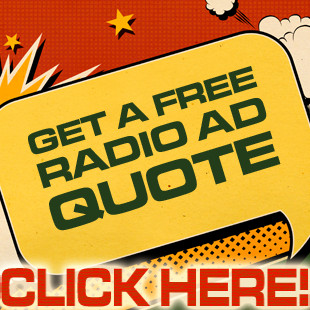 Your radio commercial needs to offer a compelling message to get the consumer INTERESTED in your products or services. The consumer is not helpless, they can use the phone book, Google, yahoo, gps, 411 information, pda, MapQuest or thousands of other sources to figure out your exact location on the gird. You need to focus on giving them a reason to do so in your radio commercial. Don’t fill your seconds of paid air time with something no one will retain. DO – Give a reference point as mentioned above – or more importantly – Give your website address. “yoursite.com, that’s yoursite.com”. On the site you can provide a map of where people can find you. DON’T give your phone number in the commercial UNLESS it is a vanity number. If I randomly spoke aloud a random combination of 10 numbers right now, how long would you remember them? Chances are not for long. Don’t feel bad, less than 1% of the population can, it’s just how our brains are wired. However If I said 800 PIZZA NOW. Chances are you could recall it hours if not days from now. Why is that? Because it’s a logical combination of words that our brains recognize and can recall. No matter how many times you repeat the random combination of 10 numbers, it just won’t stick. DO – Invest in a vanity phone number, or an easy to remember website address and have those repeated in your radio commercial. You would be amazed at how dramatically calls increase when people can remember your number or website on a whim. If you are currently airing a radio commercial, or are thinking about airing a radio commercial for your business – take a moment to think about the content of that radio commercial. Is it compelling? Does it offer your customers a reason to contact your business? Is it an offer your customers can’t refuse? If it isn’t, you may want to create a new radio commercial. A key difference between an effective radio commercial and an in-effective radio commercial is the offer in the message. Of course, the amount of exposure your message gets is the other half of the coin, but the offer is just as important. Let’s stop for a moment an think about your customers, what can you offer them to “seal a deal”? What are you willing to give them that the competition isn’t. This needs to be a solid, REAL offer. A percentage off “if they tell you they heard your commercial” is NOT what we are talking about here – ploys like this are not compelling enough and rarely ever work. For example, I recently heard a car radio commercial. (Who hasn’t?) This commercial stood out from the rest though… Was it because it talked about “slashing prices”, “once a year sales”, or “put zero down and drive today”? ?… No… Almost every car commercial ever created says these tiered cliché’ messages, and guess what… no one hears them. Because these radio commercials are “white noise” to the listeners due to their overuse. What I DID hear in the radio commercial was the words “Free Car”. It stood out; because this is an offer I do not hear often. Even though there are restrictions in this promotion - it grabbed my attention. I’m not neccearly in the market for a new car, but “if you buy one car and can get a free one, I may just check this place out” I thought to myself. I am not saying you need to give away a free car, but think about what you are willing to offer a new or loyal customer if they make a purchase with you – and showcase it! It’s throwing a bucket of blood to a pack of hungry sharks. They are in the water… but you don’t see them until the offer is made! And in today’s economy, blatant offers of great value GET ATTENTION!